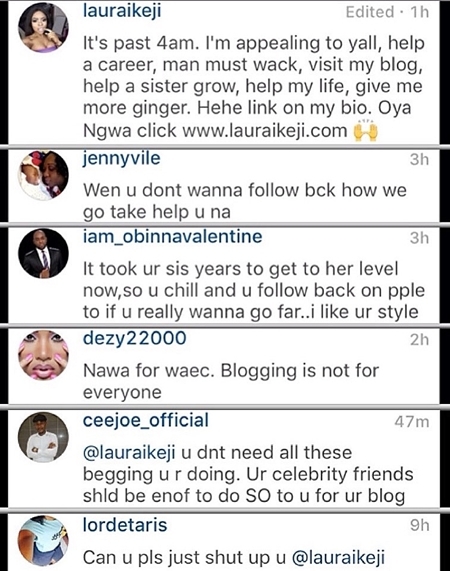 Linda Ikeji’s sister, Laura who ventured into blogging, has been blasted by her fans as she begs them to visit her blog…Lol! 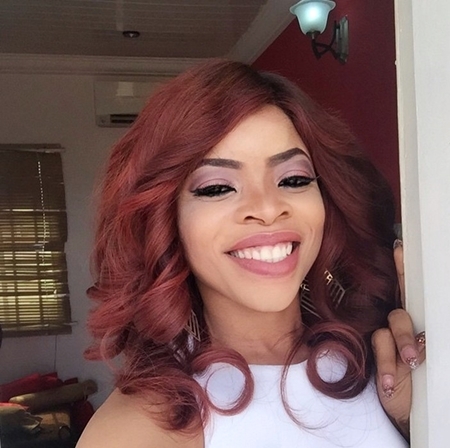 Laura Ikeji, sister to the famous blogger, Linda Ikeji has followed her sister’s footsteps venturing into blogging. She took to her Instagram page earlier today to solicit moral support from her followers but was met with their cold shoulders. Below is some of their comments, you can head over to her page and check on the comment section for more of the hilarious backlashes.